Universities are increasingly being asked to take an active role as research collaborators with citizens, public bodies, and community organisations, which, it is claimed, makes them more accountable, creates better research outcomes, and enhances the knowledge base. Yet many of these research collaborators, as well as their funders and institutions, have not yet developed the methods to ‘account for’ collaborative research, or to help collaborators in challenging their assumptions about the quality of this work. 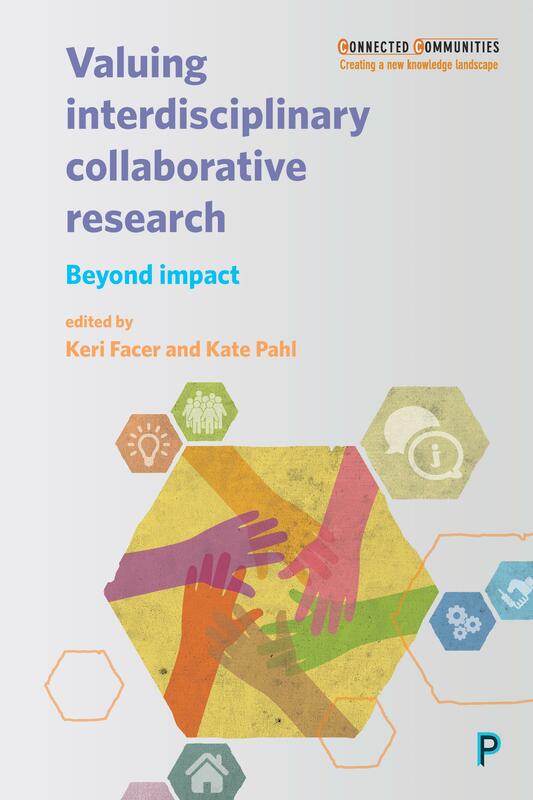 This book, part of the Connected Communities series, highlights the benefits of universities collaborating with outside bodies on research and addresses the key challenge of articulating the value of collaborative research in the arts, humanities and social sciences. Edited by two well respected academics, it includes voices and perspectives from researchers and practitioners in a wide range of disciplines. Together, they explore tensions in the evaluation and assessment of research in general, and the debates generated by collaborative research between universities and communities to enable greater understanding of collaborative research, and to provide a much-needed account of key theorists in the field of interdisciplinary collaborative research. Purchase Valuing Interdisciplinary Collaborative Research from Policy Press.